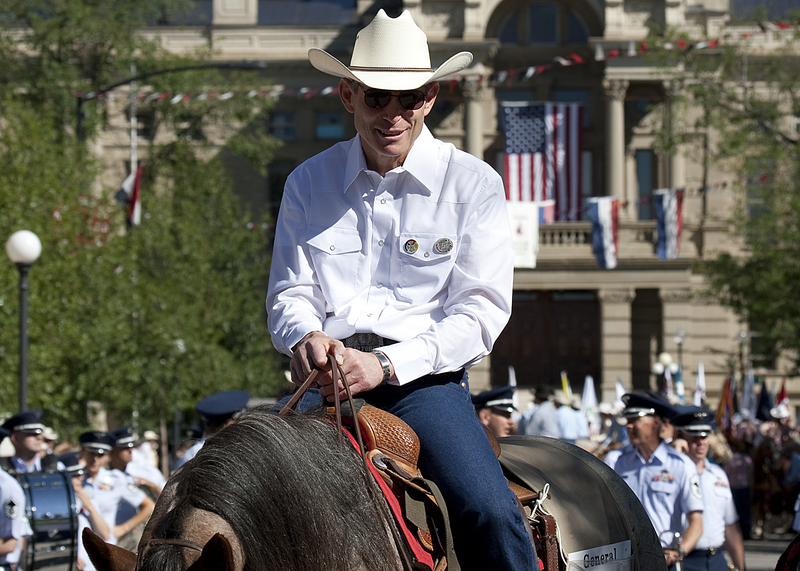 In case you’re wondering, Schwartz was the grand marshal of the 115th Cheyenne Frontier Days parade. He and his wife, Suzie, rode through downtown on horseback. He also attended the CFD Rodeo, where he “rode in the grand entry and received a behind-the-chutes tour,” according to an Air Force release.